Review: Create a moment of magic in concert with Fantine's (and now Susan Boyle's) "I Dreamed A Dream", the famous song of broken dreams from the hit musical Les Miserables in a mesmerizing a cappella setting. The classic Disney song "A Dream is a Wish Your Heart Makes" is arranged in a warm a cappella jazz setting for a stunning showcase for jazz, pop or concert choirs. The soaring melody lines and exquisite phrasing will create a memorable performance moment. From Finian's Rainbow, revived on Broadway in 2009, comes "How Are Things in Glocca Morra? 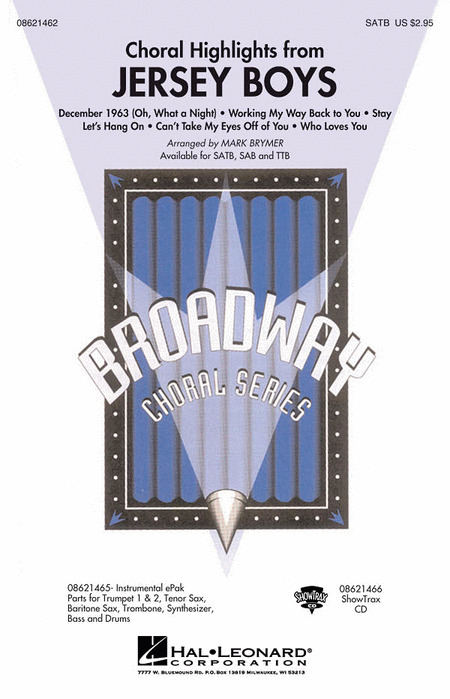 ", one of the score's most famous numbers, here in an expressive a cappella setting. The gently undulating melodies and the heartfelt lyrics create a tenderness that is truly sublime! 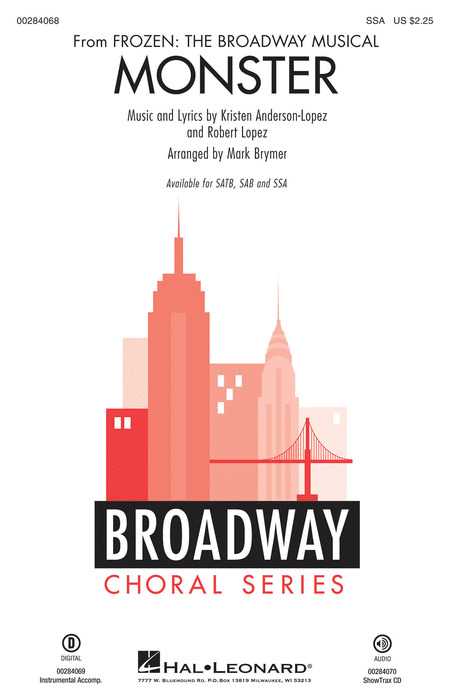 A Dramatic and expressive contemporary setting of the Rodgers and Hammerstein classic "Goodnight, My Someone" will create a powerful effect of your audience. This unaccompanied setting features striking contrasts in texture and dynamics than enhance the emotional quality of the lyrics. Displaying 1-50 of 582 items. Be the hero of your story and you will always be the hero that lives on. This perfect little Broadway two beat song is up-beat, positive and full of fun and adventure. A chance for your singers to tell a story that highlights the importance of truth, hope and desire. Lessons learned of being the first to embrace the life we live and the life we hope for. Winner of eight Tony Awards including Best Musical, nominated for a 2018 Grammy award and called one of the most remarkable shows in musical theater history by the Washington Post, here are four of the most powerful songs in one powerful medley. Including: Sincerely, Me; Waving Through a Window; For Forever; and You Will Be Found these songs are skillfully combined to capture the heartbeat of this important show--the need to fit in and be heard. The Broadway musical Rent changed the face of musical theatre with its relevant topics and contemporary rock music. And here we are celebrating the 25th anniversary of the ground breaking show. This powerful reprise of I'll Cover You, in a pulsing gospel feel, sings of love in real and meaningful ways that will resonate with your students. Based on the inspiring rags-to-riches story of Frankie Valli & The Four Seasons, this show won the 2006 Tony Award for Best Musical. 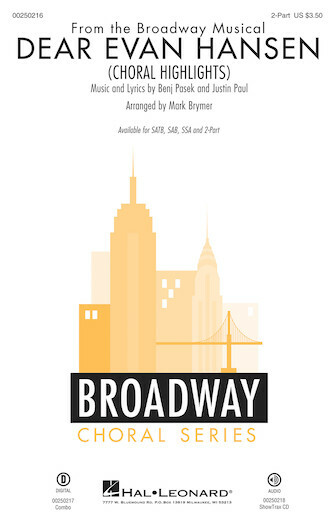 This 8-minute medley captures the essence of the Broadway version and includes: Can't Take My Eyes Off Of You, December 1963, Let's Hang On, Stay, Who Loves You and Working My Way Back to You. Performance Time: Approx. 8:20. 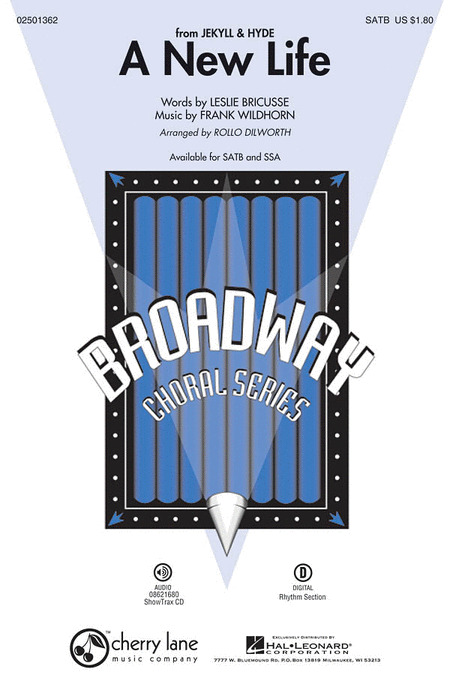 Available separately: SATB, SAB, TTB, ShowTrax CD and Instrumental ePak (parts for Trumpet 1 & 2, Tenor Sax, Baritone Sax, Trombone, Synthesizer, Bass and Drums). Arranger: Roger Emerson | Composer: Wayne Kirkpatrick | Musical: Something Rotten! The spectacular opening of the latest Broadway Disney hit! 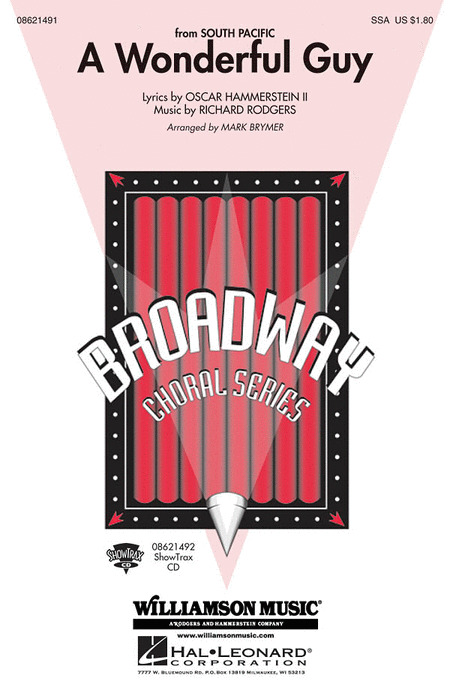 With songs by Elton John and Tim Rice this 5-minute feature is a fantastic choice for choirs of all types. Includes: Every Story Is a Love Story, Fortune Favors the Brave.Available separately: SATB, SAB. SSA and ShowTrax CD. Performance Time: Approx. 5:35.